Everybody loves Katowice, right? Judging by first appearances, the city may not look like an obvious tourist destination for anyone, let alone kids. But you're here now, and you can only expect the younglings to be quiet and respectful in churches, memorial sites and boring history museums for so long, and you can’t expect them to enjoy cellar bars or stylish clubs at all. There must be something else to do in this town, right? Yup! What we've learned during our time exploring the city is that not only is it a quite an impressive place for anyone wishing to explore, it also has quite a lot of stuff for kids to see and enjoy, come rain or shine, you'll always keep them occupied! 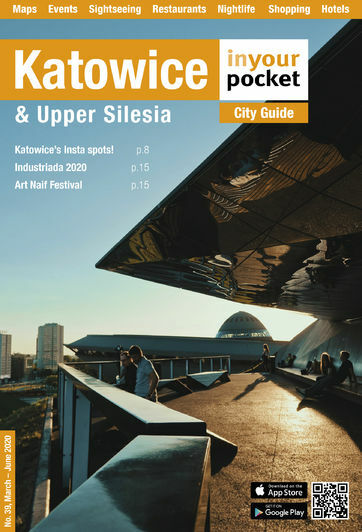 We’ve created this section to help you find exactly those things, and send your kids back to school bragging about what a great visit they had in Katowice. Below we’ve listed local family-friendly destinations under the categories of Indoors and Outdoors, plus reliable recommendations for where to eat and drink where your kids will be treated as welcome customers, rather than ire-inducing annoyances. Some venues are described in more detail elsewhere, so follow the links. Of course the first step to having a great family vacation abroad is to accept that what you want to do, and what your kids want to do are hardly one and the same. That said, there’s no reason you can’t find some common ground in Katowice’s major attractions. Everyone has Industrial heritage/tourism in mind when they visit Kato, but that doesn't have to mean it's boring old buildings for the kids, oh no. If you choose to go the Silesian Museum, it's super modern and will have the kids as interested in the multimedia elements as you will be. If you do choose to go to more adult orientated museum, there's a creche, Ciuciubaka, should you have really young kids that just want to run around playing. You'll be glad to know the city has a few kid-friendly venues up its sleeve (where you'll no doubt have fun too)! If leisure is more your thing, then Multikino, Cinema City Silesia and/or Cinema City Punkt 44 (with IMAX screens) to see the latest kids' movies can be good for a rainy day. If more action packed indoor attractions are more your thing, Katowice also has a Laserhouse, a Jump City for trampolining madness, seasonal (Oct-Mar) ice-skating rinks, and even a 10-pin bowling centre, which is fun for all involved! Sometimes the best thing to do when there’s easy-tiring kids involved and you want to see as much as possible is to simply walk, or take advantage of good weather and ride a bike around the city. Another great idea is to head over to Silesia Park - either by bus, tram or bike. Even when you get there, we'd recommend renting one of the aforementioned bikes if your aim is to see the whole park - it's truly huge! Near the main entrance to Silesia Park is Poland's oldest amusement park, Legendia, filled with a mix of old and new rides. Your next port of call may be the the zoo - it never fails to amuse the kids, especially the petting area and Dinosaur Valley! Getting there can be quite a novelty in itself as you can opt to ride the Narrow Gauge Railroad (which links the amusement park with the zoo, 1km away). For the kids bursting with energy, going to the Silesian Rope Park is a safe choice! As for the sports obsessed children (and adults! ), head over to the modernised Silesian Stadium. In the far corner of the park, you may wish to visit the Upper Silesian Ethnographic Park, whose skansen (open-air museum) showcases how rural life once looked in the region, with reconstructed houses, churches, windmills, and one of the farms here even has animals (goats, sheep and horses), which the kids will love.